The following is the up dated juvenile training schedule for the coming week. Please note Liz’s group has changed from BCS to Marlay Park. Kindly note ALL BCS Juvenile groups will move to Marlay Park from Tuesday 30th April. · Little Athletics (Damien’s group). No training. · Billy & Carol’s group. Training as usual. · Fit4Youth (Gerry McGrath’s group). No Training. · Dave Bradshaw & Donal Hennigan’s respective groups are training at Marlay Park, please confirm time with the coaches. · Training as usual 7pm to 8pm. · Liz’s group training from 6pm. · Training as usual for all Thursday training groups from 6pm. · No juvenile training in Irishtown, please attend the T&F League in Santry. Please note the second T&F League is on in Santry that day, all members from U9 to U16 (Born 2011 to 2004) should attend these League. No need to pre-register, just turn up and register at the DSD Flag. · Squad Sunday 12pm to 2pm. Open training session for ALL club members (including those born in 2012). 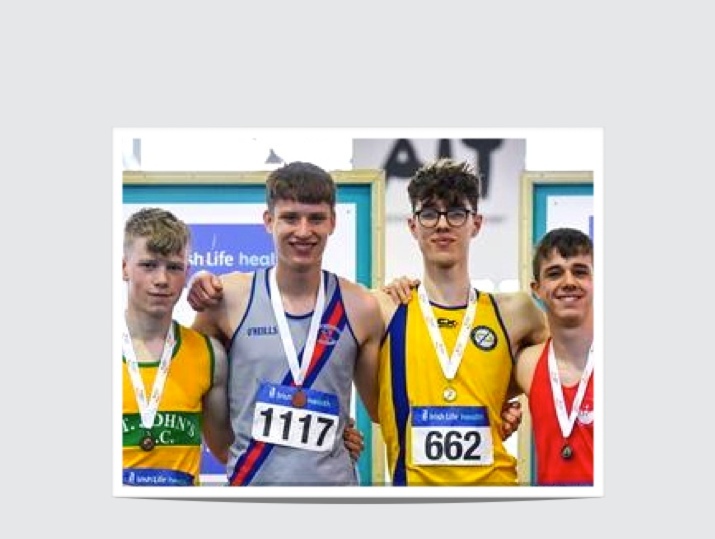 Get some valuable time on a track, experience the field events, try new events, learn new skills and best of all meet your fellow club mates from Irishtown\BCS\Marlay. These training sessions are preparation for the T&F season, we encourage all juvenile members to attend. Record numbers took to the streets of Kilkenny for the second round of the Kia Race on Thursday night. It was a perfect night for running, as 1,000 participants took off, with Hiko Tonosa (DSD); Eric Keogh (Donore) and local runner Tom Hayes, breaking away from the rest of the field. Hiko made his move with around 500 metres to go finishing very strongly and smashing the race record with a time of 14.15. Wushu Gebreselassie (DSD) finished 19th 16.31 and Linda Byrne 4th (F) 16.59. Declan Ryan, Chairman of DSDAC, is delighted to inform members that on Wednesday 17th April two significant steps have been taken on the club’s journey to have its Campus in St Thomas become a reality. This morning, Dún Laoghaire Rathdown County Council have lodged a Part 8 planning application for an extensive multisport campus on the St Thomas Estate. This has followed an intense period of work between the Club and officials in the Council. DSD’s plan to have a multisport campus catering for athletics, gymnastics, fencing, archery, cycling, Special Olympics and triathlon was received favourably by the Council who have since partnered with the Club to prepare all the material for an application for planning permission that will see this plan become a reality. The new design incorporates a international standard 8 lane 400 metre running track and a sports hall with ancillary rooms. It will take a couple of months for the process to take place, and we are optimistic that we will see planning permission granted. You may wish to view the full impressive plans for the development here on Dún Laoghaire Rathdown County Council’s website (https://dlrcoco.citizenspace.com/parks/pc-pks-01-19-proposed-development-of-a-running-tra/). Then this afternoon, an application to seek funds from the Department of Transport, Tourism and Sport’s “Large Scale Sports Infrastructure Fund” (LSSIF), was submitted, again by Dún Laoghaire Rathdown County Council and DSD. The submission has required a gargantuan amount of work by DSD and Council officials over the last few months, and indeed the active and engaging role of the minority sporting clubs that started out in this journey with us: Fencing Ireland, Dundrum Archers, Trojan Gymnastics, Orwell Wheelers, Belpark Tri and Special Olympics. This LSSIF process is new, and we therefore assume it will take months before we know our fate. We believe our submission is very strong and are hopeful we will be successful in securing funds for the project. 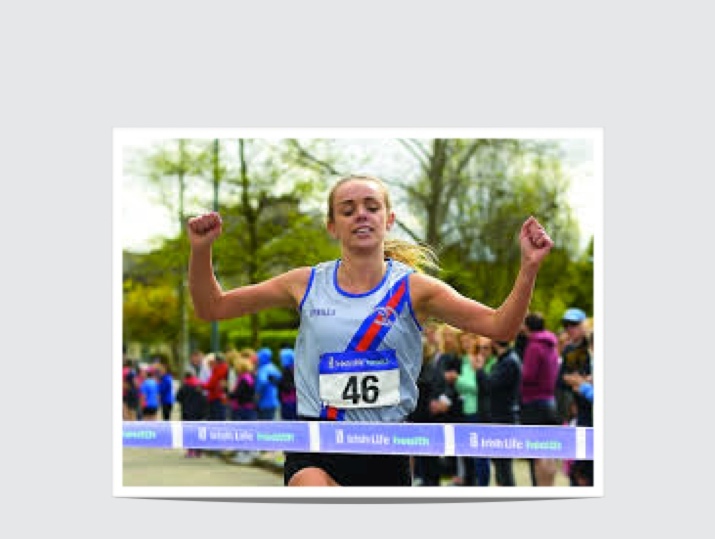 Congratulations to Hiko Tonosa, who won his first national title yesterday, in the Great Ireland Run/National 10k championship, with a time of 30.41. Patrick MacGabhann finished 14th (32.08); Colm Cunningham was 12th M40 (36.43); Harriette Robinson 18th Senior Women (38.48), and Annette Kehoe 13th F50 (46.57). Well done to our Paris heroes, who completed the Paris Marathon at the weekend. Gavin O’Flaherty 3.53.42; Simon Cotter 3.59.09; Ann Marie O’Flaherty 4.01.13 and Liam McCambridge 4.09.08, all finished strongly over this great course, as well as enjoying their weekend in Paris. 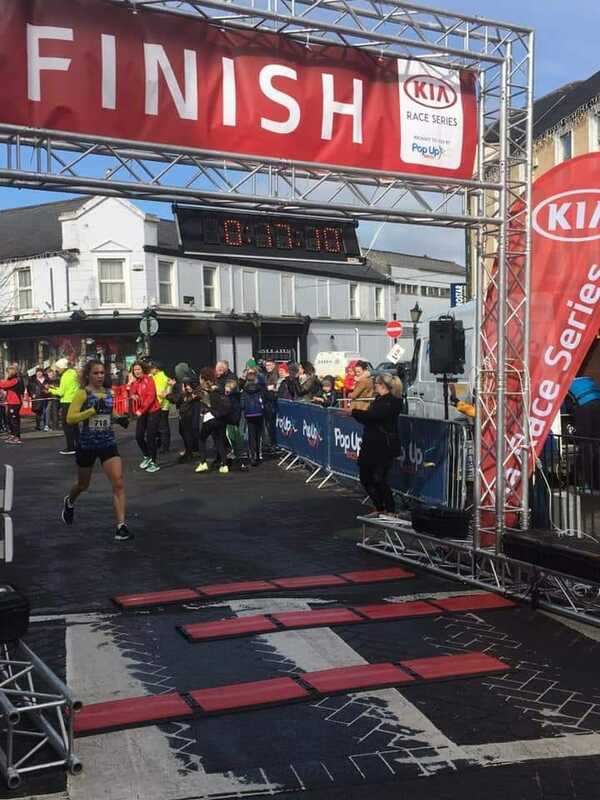 Congratulations to Linda Byrne on another fine win today in Cork, when she sprinted in, in impressive style, to take the women’s title, in the Dromina 10 mile road race, and 6th overall men/women. Well done to Hiko Tonosa who won the Eirgrid Dunboyne 10k yesterday 30.06, with Robert Corbally close behind in 5th place 30.47. Niamh Devlin was 3rd in the Women’s race 37.37; Joan Coyle 2nd F70 51.27 and Fintan Hourihan 18th M50 44.15.